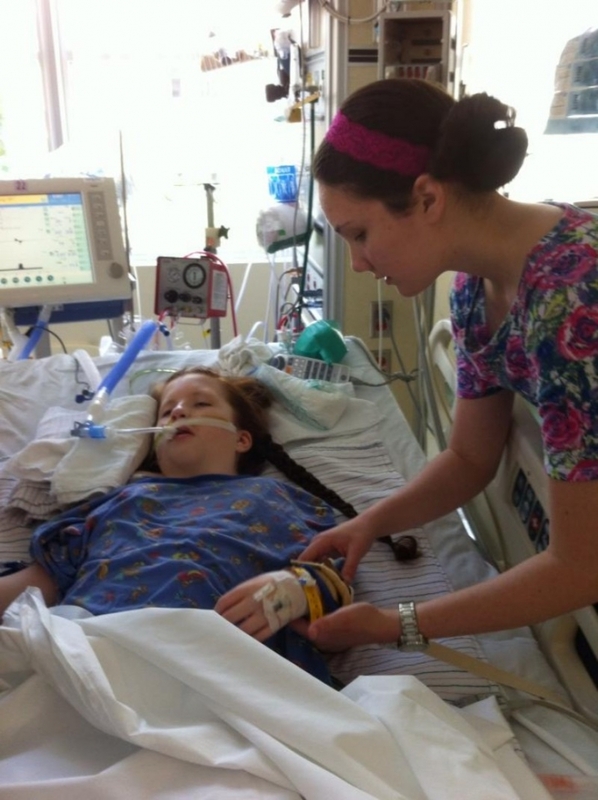 After a prolonged spinal correction surgery, Lacey drifted into a coma for 8 days. On the 9th day she woke up and vomited. But she was alive. Dr. Campbell’s surgery proved a success. 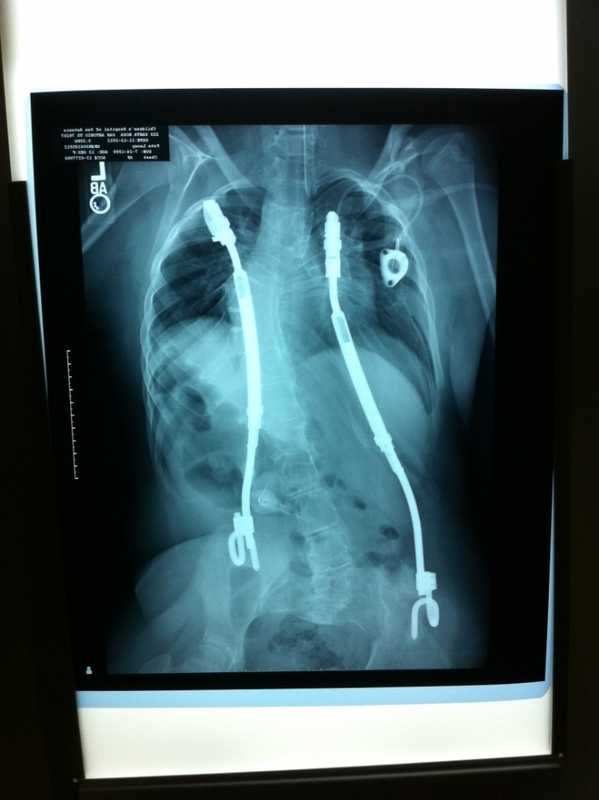 He inserted a curved metal rod (VEPTR) into Lacey’s ribs which help both separate the ribs and straighten the spine. Lacey’s spine corrected from 84 degree curvature to 48 degrees. Most importantly, she was no longer suffocating. On the dove tail of the first successful surgery was a new hurdle to overcome, Lacey wanted to walk. One year later the family went to see a specialist in Seattle. Her legs were still frozen at a 90-degree angle. 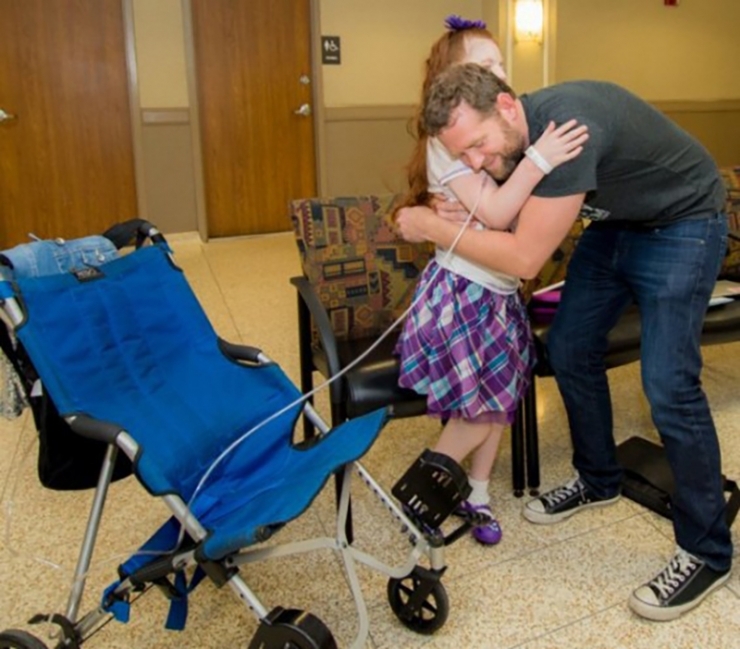 This trip, her parents Tammy and Tim brought her to the hospital in a wagon rather than a wheelchair because Lacey wanted to feel like a normal kid. Have you ever seen an 8 year-old stand and immediately defy a doctor’s prognosis? To be a fly on that wall. Needless to say, the doctor changed his mind and the surgery to straighten and brace her legs was a success. The years that followed would bring more surgeries – as Lacey grows, she must undergo many operations to help maintain her shape. She is confined to a wheelchair. The surgeries will continue until she stops growing. Lacey has orthodic braces on her hands, torso, and feet. 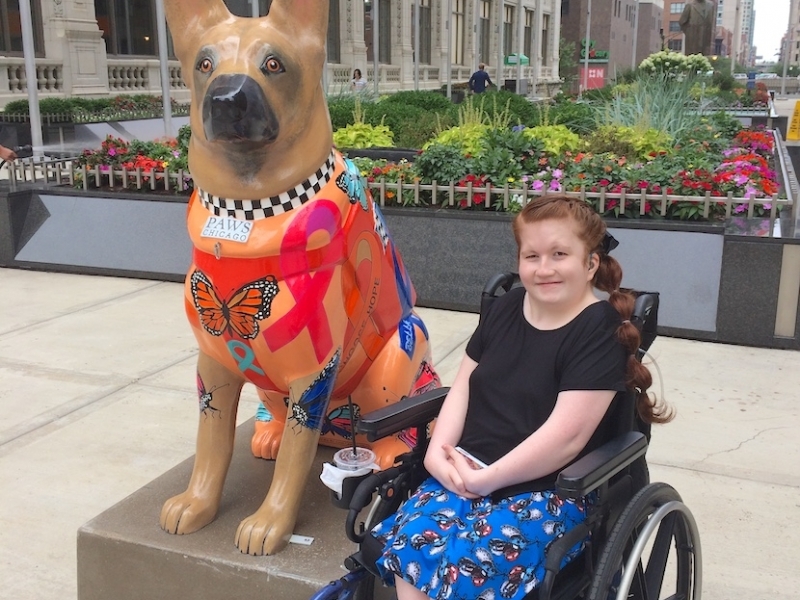 Lacey has anthrogryposis, severe kyphoscoliois, severe hearing loss, webbing from the neck, hypoglycemia, club feet, vertical talus, and chronic respiratory insufficiency. Each operation presents a new and dangerous set of risks. Her parents hold her hand right up until it’s time to operate. But when you go, you go alone. 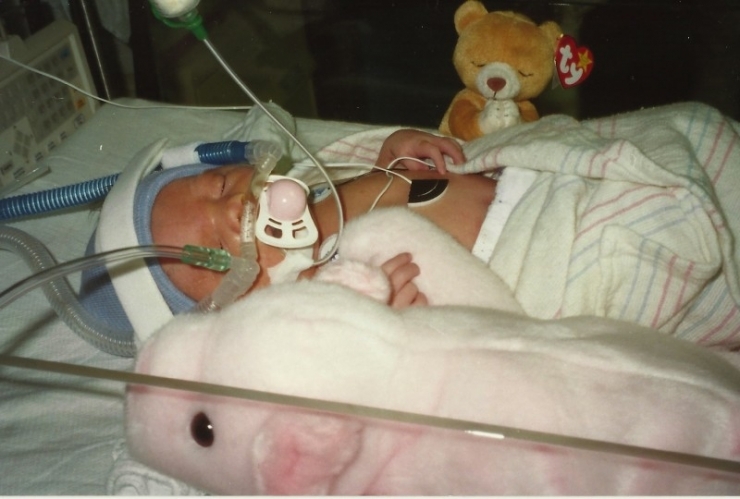 Now 15, she’s endured 43 surgeries. Lacey’s parents have sacrificed so much to make life comfortable for their daughter. Her mother Tammy quit her job to take care of Lacey full time. 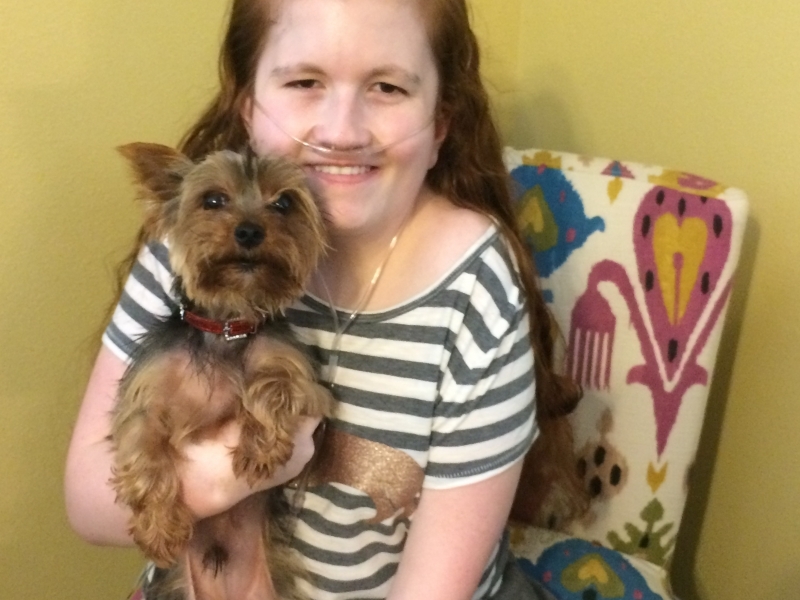 Because Lacey can go into respiratory or organ failure ‘coding’ at any time, she sleeps in the same room as Lacey every night, keeping constant vigil over her daughter, “When Lacey sleeps she gets so little oxygen.” Lacey’s father Tim also took a lesser position at his company so he could travel less and be with his daughter more. Now the sole provider for the family, they have struggled mightily making ends meet. But last year a glimmer of hope appeared… only to be smothered. There is evil in this world. There are those who seek out people in desperate need, promising money and hope to their families; then in the 11th hour, they disappear without a trace, dashing all hope. Lacey was a victim of one such sinister hoax. Somebody claiming to represent two NFL football players (I’ll omit their names) reached out to the Pate family last year. The man said the players would each donate $100,000 to cover her medical expenses, travel, rehabilitation costs for Lacey. In the end it was all a fraud, the scheme of a sad, misguided individual. During my research for this story, I’ve tried explaining that story to my friends, which is met with wholesale confusion and indignation as they try to to comprehend that such monsters exist at all. But there is evil in this world. These are the VEPTR rods that are slowly straightening Lacey’s spine and prevent her ribs from crushing her lungs. This is Lacey’s tiny bedroom. 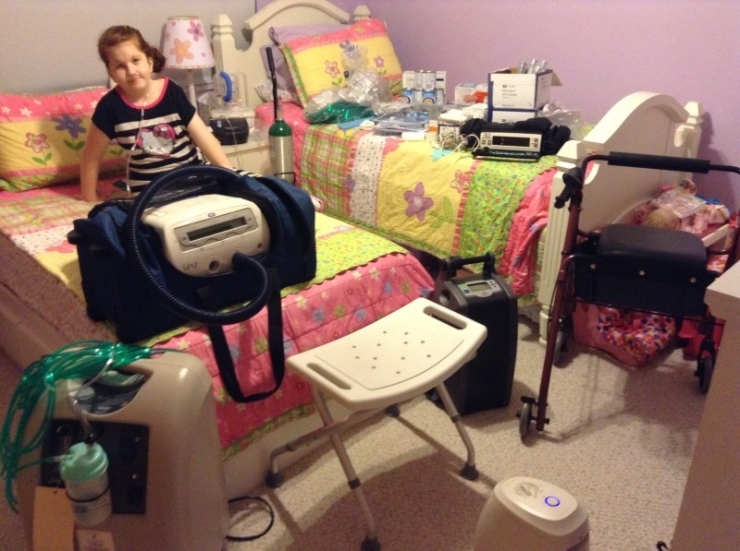 The Chivers are helping her build an extension that will have plenty of room for her medical equipment. Lacey’s 19 year-old sister Lorann recently left for college. 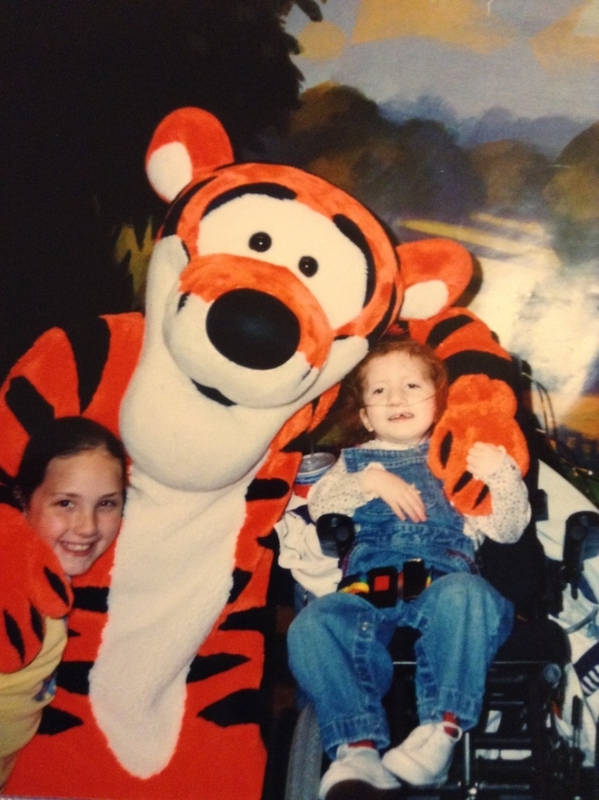 She wants to become a nurse to learn how to help people with rare disorders like her sister. 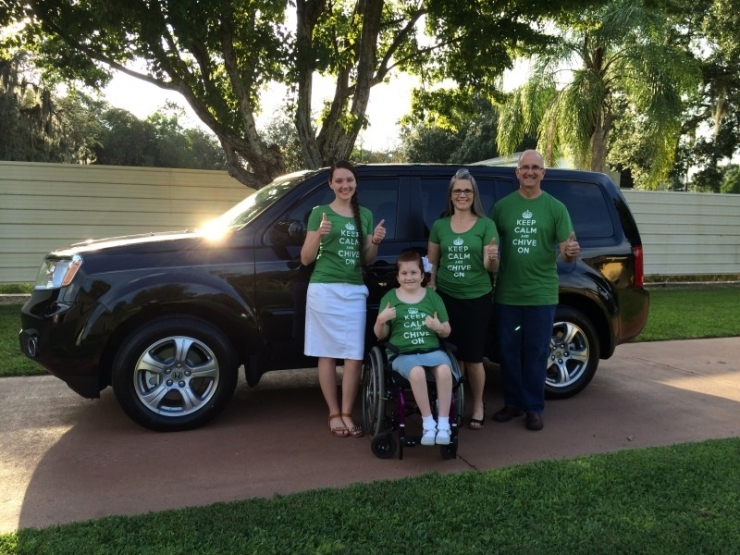 Lacey loves her new vehicle that Chive Charities purchased for her. It will soon have a mechanical lift that will allow for safe and easy access. 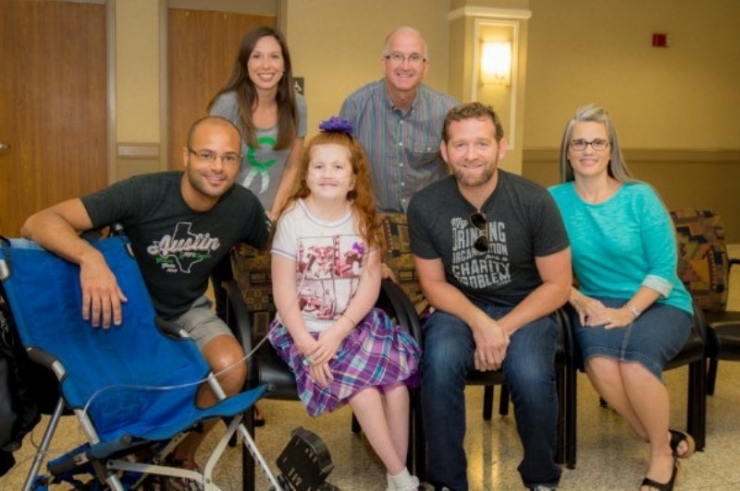 I met Lacey as she got off the elevator at San Antonio Children’s hospital. 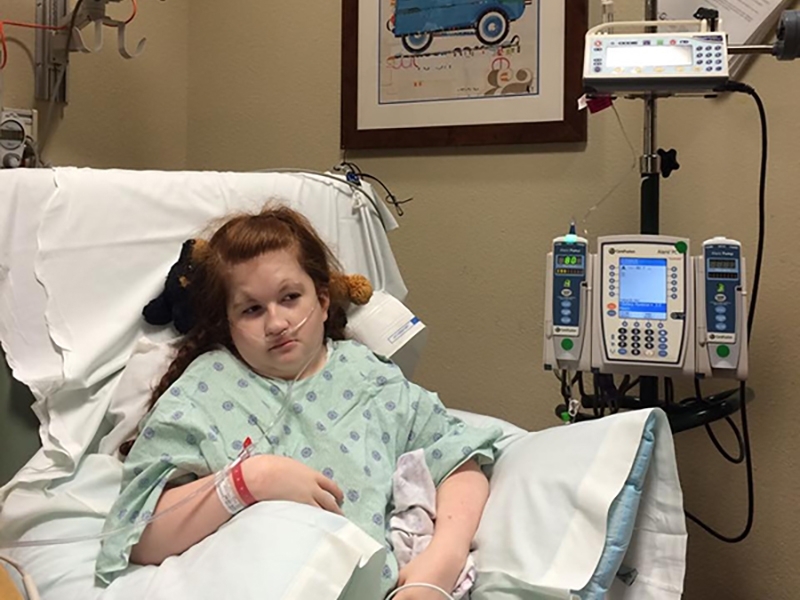 Lacey and her family sojourn from their home in Auburndale, FL to San Antonio twice a year for various treatments. She had just been poked 20 times with a needle as the nurse feutily searched for a vein to draw blood. Her mother said, “It’s not uncommon. 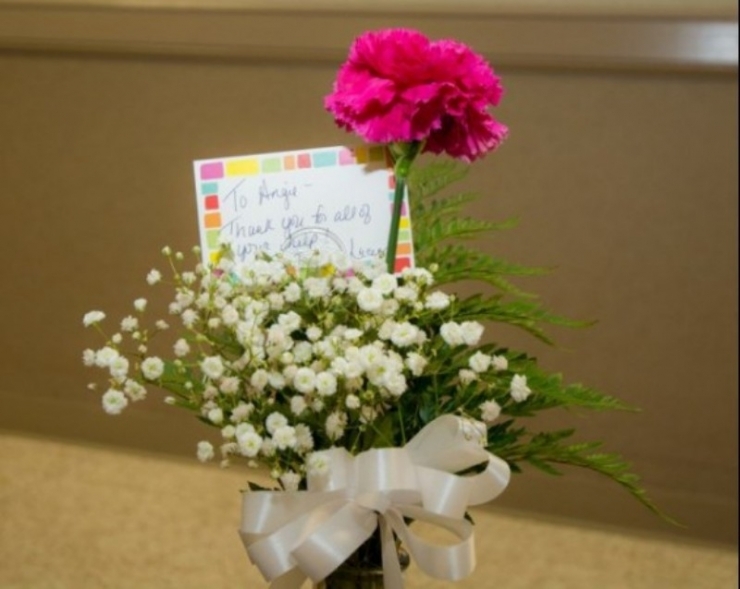 Lacey has stubborn veins.” Lacey was holding a vase of flowers she’d bought for Chive Charities’ grant coordinator Angie Cone. 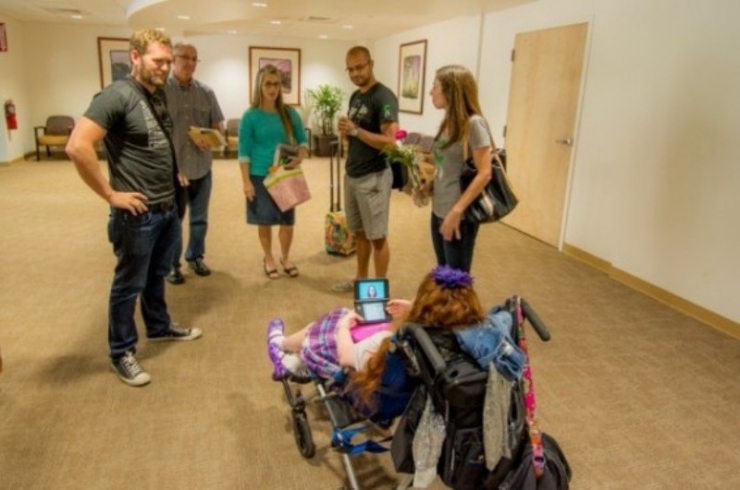 Angie had championed Lacey’s cause from the moment her application arrived at Chive charities. The two had become fast friends. Angie takes work home with her so to speak, the social worker has the biggest heart of anybody I ever met besides my mom. 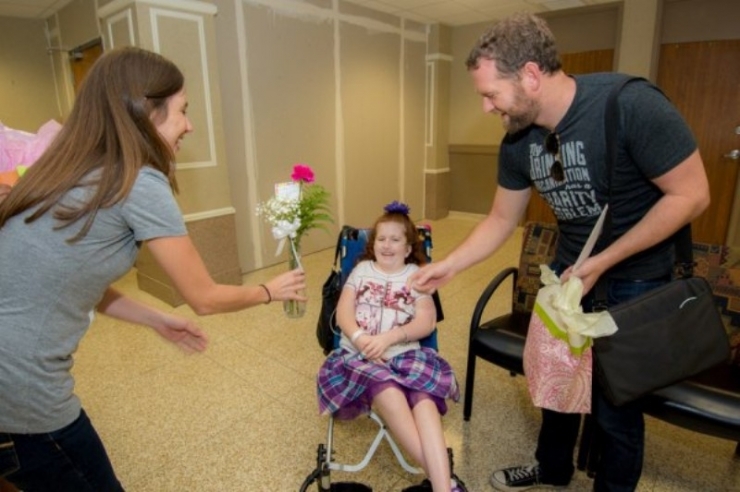 There are times when the final decision on a Chive Charities recipient rests with me, then there are other times where Angie gives you that look. Lacey was ‘that look’. Lacey had a present for Angie when they finally met. 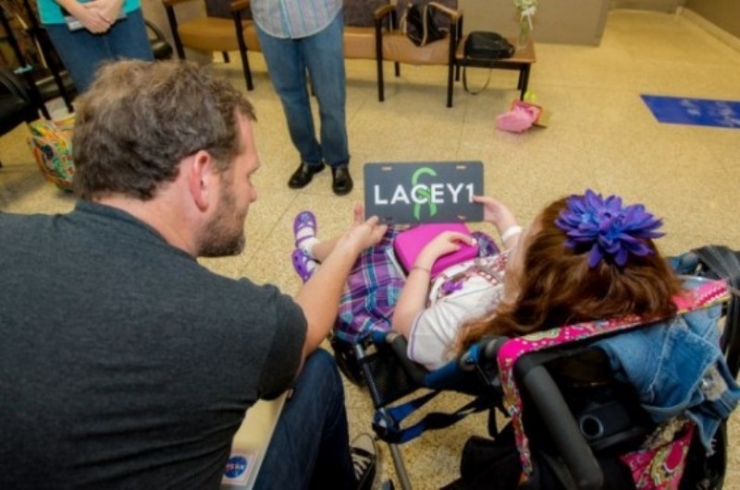 A new Chive Charities license plate to match Lacey's new SUV. Lacey’s life has become increasingly isolated. 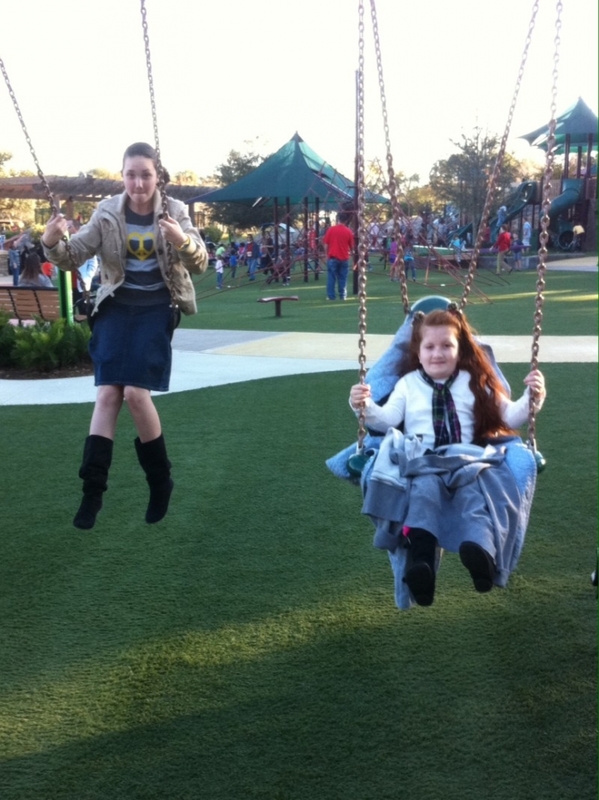 Lacey went to school only 35 days last year and that number is dwindling again this year. She’s being homeschooled at the moment. I asked her mom if Lacey will return to school again this year. Patty just gave me a look, the sort of look that says ‘I don’t know if I should answer this in front of my daughter.” Sometimes I’m not the brightest candle. Lacey carries herself with modesty. When her parents spoke of Lacey’s physical pain, Lacey would wave her hand as if to say, “It’s fine. Please don’t bother them with that.” But beneath her fragile frame and steadfast manners (she says yessir and no ma’am), belies a steal resolve. Without her school friends and sister, Lacey could use some company. At the hospital I asked Lacey if she needed anything else? Something the chive community can get for her? ‘YES, I would love an emotional support dog, something I can hold and love on.’A while back a doctor had suggested she was a perfect candidate for such a companion. They can even be trained to alert Lacey’s parents if she’s coding. Her mom would no longer need to sleep in the same room every night. This dog would immediately enhance Lacey’s quality of life. What kind of dog is your favorite? The dogs are not cheap, they'll cost you around $20,000. The goal is set at $20,000 for Lacey’s emotional support dog. Anything beyond the goal will go toward a lifetime of medical bills. 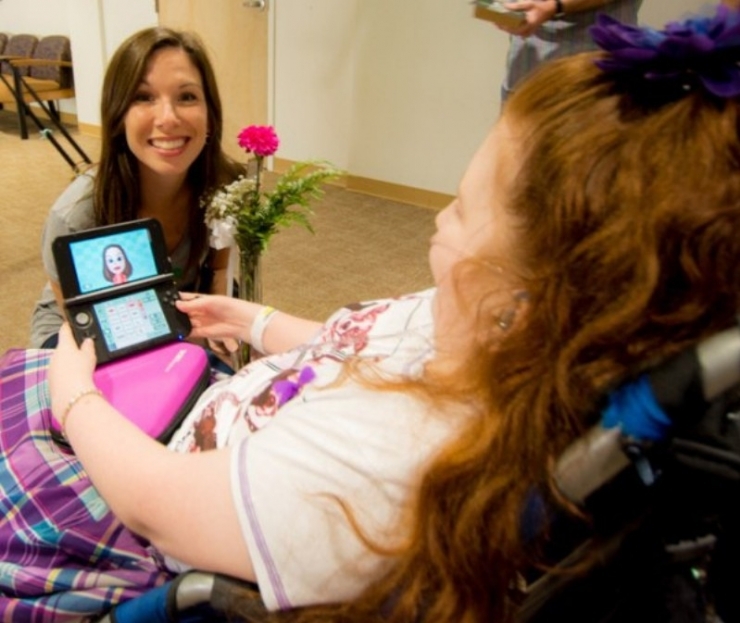 Donate to Lacey RIGHT HERE!